Art-The space bits were the best illustrated, the other section were not terrible but were not of the same quality. Cover– This month’s Infinity book follows the trend of an all black background but switches it up will yellow illumination. We have the InHuman king Black Bolt mouth wide open screaming and the Inhuman floating city broken in two. The sheer simplicity of these Infinity covers have me falling in love every month. 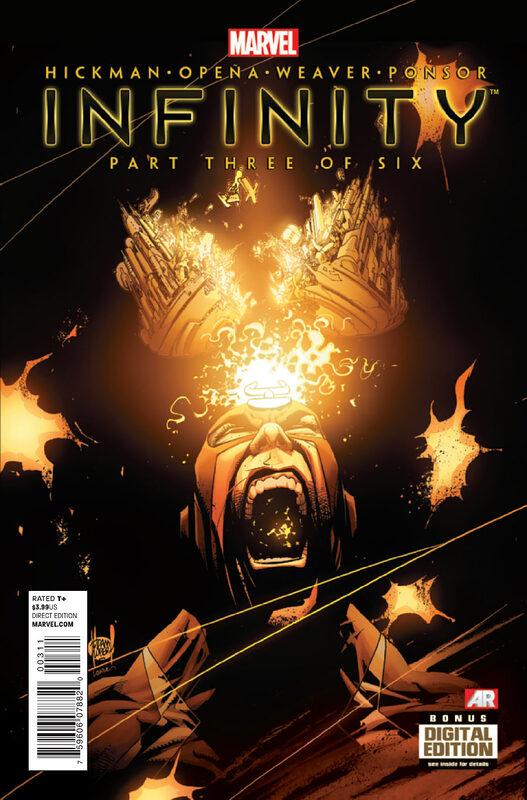 The King- Black Bolt, what to say about the Inhuman king? He’s in typical recent characterization where his only concern is his people and it doesn’t matter who or what must be sacrificed as long as they are safe. 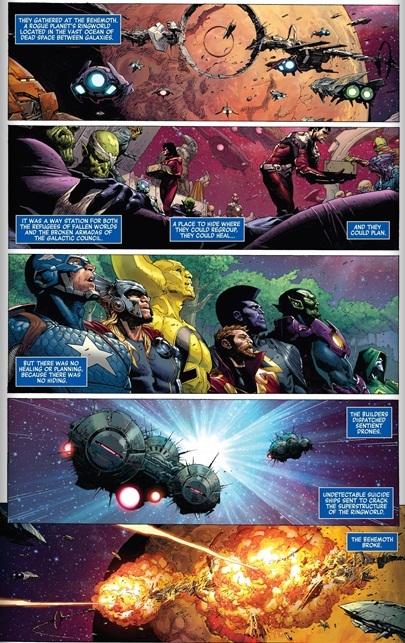 It was also pretty damn epic how Black Bolt faced Thanos and scattered his people across earth for their own good. Action- Epic spine tingling action in this one from start to the big banging finish! Inhumanity- I’m going out on a limb here and assuming the Terrigen bomb that Black Bolt commissioned from Maximus which was to be used against the shiar during war of kings has been modified to go off within earths atmosphere to activate all latent inhumans. This will add another layer to the superhuman dynamic of the marvel universe in light of the upswing in mutant births after Avengers Vs X-men. The MU is about to get mighty crowded! 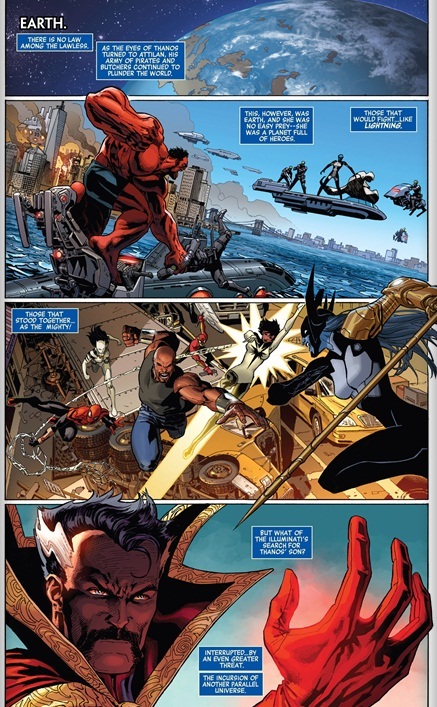 Black Heroes- Eden Fesi again is central to rescuing those captured and Night Mask and Sunspot also get cameos. Firstly when we first saw the seeders in the form of Aleph in Avengers (2013) #1 they were able to singly dispatch a squad of Avengers. These on the front lines of battle have become the equivalent of the power rangers putty. They are easily killed and dispatched. Mind you this dramatic drop in power was used by Joss Whedon in his last televised season of Buffy. The first ancient Vampire could easily defeat her but when she faced an army with apprentice slayers everyone was able to kill multiple. Infinity is a great Marvel run. It gets better with each issue.